Shinobi Ninja release single + video game + play Mercury on 05.15. Logan Square's own psych/garage/droners The Clams have placed their two EPs (Close To The Clams and Mindbanging) on Bandcamp for name-your-price or free download. Here's the link, go make your music collection slightly, but pleasantly, weirder. The Clams play at Ronny's on Friday, May 21 with Chicago duo Woo-Man and The Banana and The Hi-Tones, on tour out of Austin, TX. Here's the video for The Clams' song "Two and Too Makes Three", featuring Robert Vaughn! 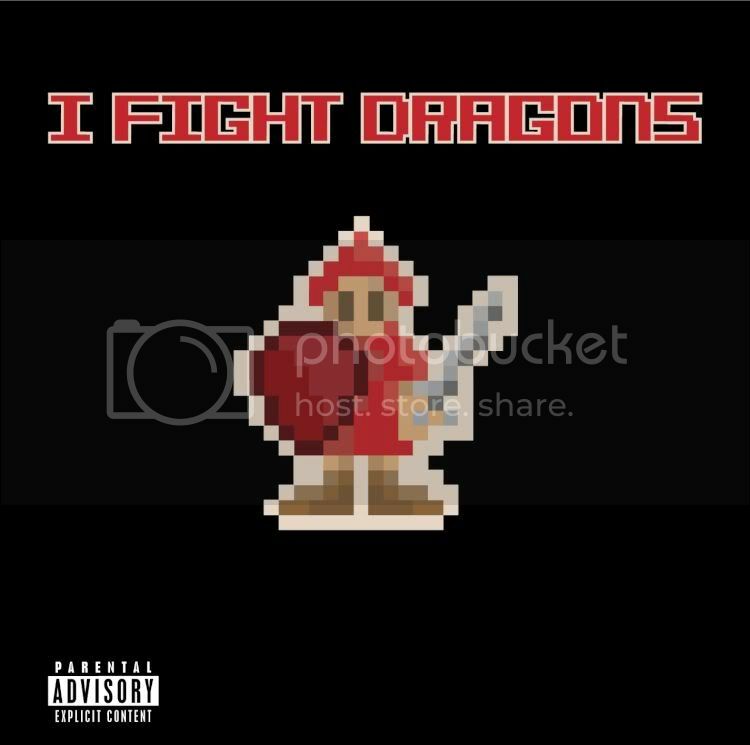 Two things happened last week, I got way too distracted at work by the very cool new game Super Mario Crossover, and I received the “new” ep from I Fight Dragons. That has to mean something right? So, I decide to contact lead singer of I Fight Dragons, Brian Mazzaferri to ask about the band forthcoming debut album, their current tour, and more. Deli Chicago (DC): The new label is rereleasing the Cool Is Just Number EP. What can old fans expect to find on this new release? Brian Mazzaferri (BM): Well, first of all all of the tracks have been re-mixed and re-mastered, which was really cool because we did the original on a shoestring, mostly in our home studio. Also, there's a new track, "Don't You?" which is one we've performed live but wasn't on the first version of the EP. DC: The band built a following in a very unique way. Do you feel that The Advanced Guard help built a case to present to Atlantic records? How important is it to have such an engaged fan base? BM: I think it's incredibly important to have an engaged fan base, since that basically is the band. I feel like our fans and our connection with them was a big part of why Atlantic wanted to work with us, in addition to liking our music. DC: How has Photo Finish/Atlantic accepted the lifetime membership model? Do you see this type of fan building and support spreading through the industry like the name of your price model has spread? BM: The label has been really enthusiastic about keeping the lifetime membership model. There was never any question that everyone who had a membership would have it honored for life. That said, I really don't think of it as a long-term model, since as you start to expand lifetime membership past a certain number, it starts to cannibalize your living as a musician. DC: Do you feel or have you thought that the chiptune and NES aspect of the band will begin to wear thin at any point? Are there any plans to move beyond this or add any other elements to the sound? BM: We've always said from the beginning that we're a band that wants to grow and change as time goes on. Right now we're still incredibly intrigued by chiptune and the possibilities it presents. For our upcoming album we're using it in ways that we hadn't even thought of to begin with, and it's definitely something we're still passionate about. As time goes on, that could change, and if it does we'll stay true to what's moving us artistically. DC: Are there stops on The Too Fast For Love tour that the band is more excited to hit than others? BM: Well of course Chicago, we haven't gotten to play a show there since December and are really really excited to play our home town again. Also I know we're really excited about Denver, San Francisco, DC, and a ton of the historic venues we've dreamed of playing that we're going to get to play. DC: Whats next for I Fight Dragons? BM: A robot-supported global takeover, followed by a new album hopefully coming out in the fall. I Fight Dragons will be playing Chicago on May 15th Charter One Pavilion @ Northerly Island as part of Bamboozle Chicago. The Photo Finish Records release of Cool Is Just A Number is now available at the IFD store and at I-tunes. The Morning Benders are following up their recent US tour with more touring. Since the release of their sophomore album Big Echo in early March, they have been on the road non-stop headlining in several US cities. Beginning May 18th, they can be playing to sold out audiences in the US and Canada with Broken Bells and in July and August with The Black Keys. Additionally, Rough Trade Records will be introducing Big Echo in late June to audiences in the UK, Europe and Australia just in time to help promote, you guessed it, a European tour in the fall. Pack light fellas.